2019 • St. Patrick's Day Parade • Delray Beach FL • Atlantic Avenue • 51st Annual • Saturday, March 16, 2019, 2pm. The Delray Beach St. Patrick’s Day Parade is the 51st Annual hometown tradition that began in 1968 with an Irish local pub owner by the name of Maury Power, who took a stroll down Atlantic Avenue with his Shillelagh and a green pig and declared it “My Own Parade.” The parade is run by Code 3 Events, Inc., a nonprofit 501(c)(3) organization. Code 3 Events, Inc. has over 30 other nonprofit groups and organizations showcased in the parade. The parade highlights Delray Beach’s local nonprofits; businesses, schools, civic organizations, veterans; Emergency Service personnel including police officers, firefighters, and EMS from all across the United States, and as far away as Belgium, Ireland, Australia, Canada, Switzerland, and France. 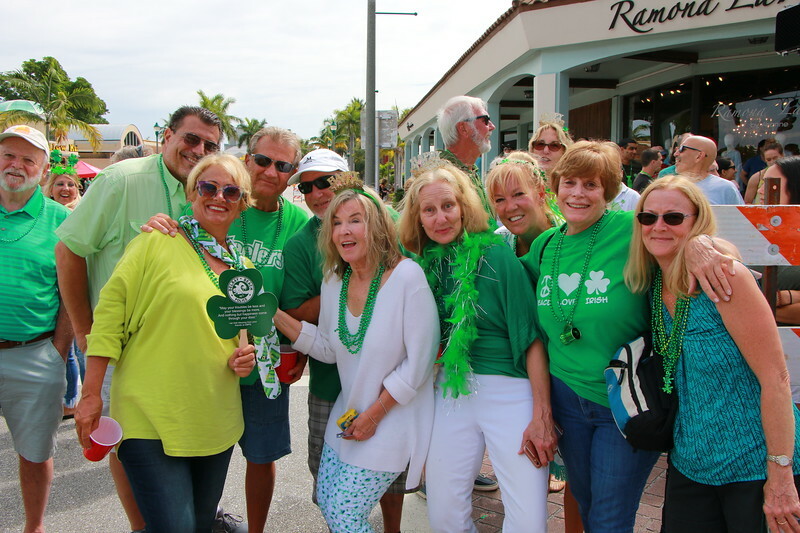 The citizens of Delray Beach continue to enjoy and support their St Patrick’s Day Parade in bringing a sense of community unity and presenting a positive role model image for children. The uniformed multi-national Emergency Service ambassadors are blended in with the rest of society. The event has evolved and grown over the years to become Florida’s premier hometown parade! (These initial images are PLACE-HOLDERS for this web-page, borrowed from Parades of 2009 through 2018 • ALL of the 2019 Parade images captured on Saturday from Noon to 4pm, this years images should be displayed by Sunday evening).